The 2016 First Meeting of Tokyo Section Executive Committee was held on Tuesday, March 29, from 12:00 p.m. at the Kikai Shinko Kaikan building（Japan Society for the Promotion of Machine Industry）, Tokyo. 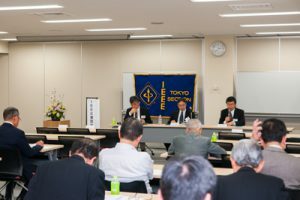 The 2016 Annual General Assembly of Tokyo Section Life Members Affinity Group was held on Tuesday, March 29 from 2:00 p.m. at the Kikai Shinko Kaikan building. 34 members attended. 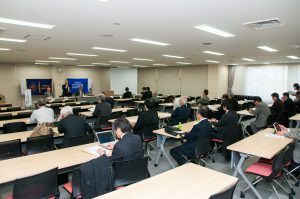 Activity reports for 2015 and Action plan for 2016 were reported. The 2016 Annual General Assembly of Tokyo Section was held from 2:30 p.m. at the Kikai Shinko Kaikan building. 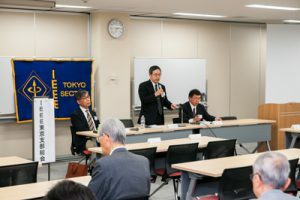 39 members attended. 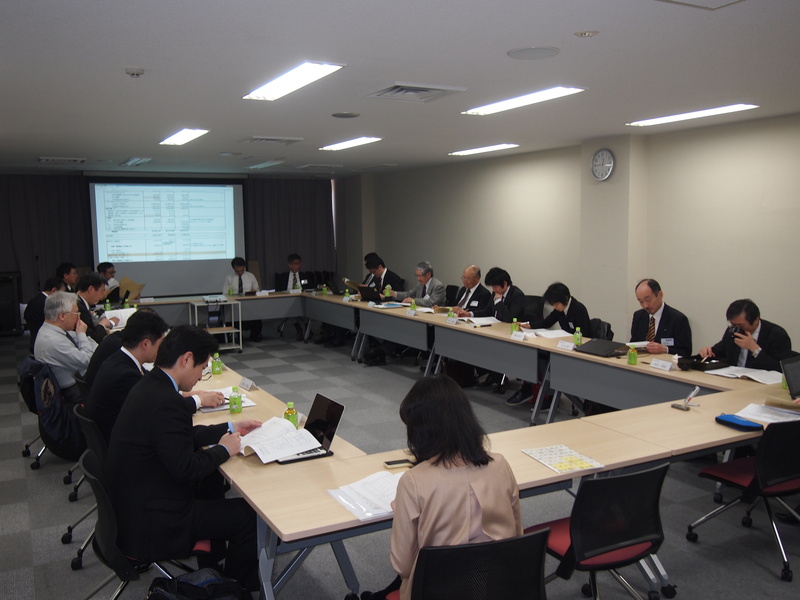 Activity / financial reports for 2015 and Action / budget plan for 2016 were reported. 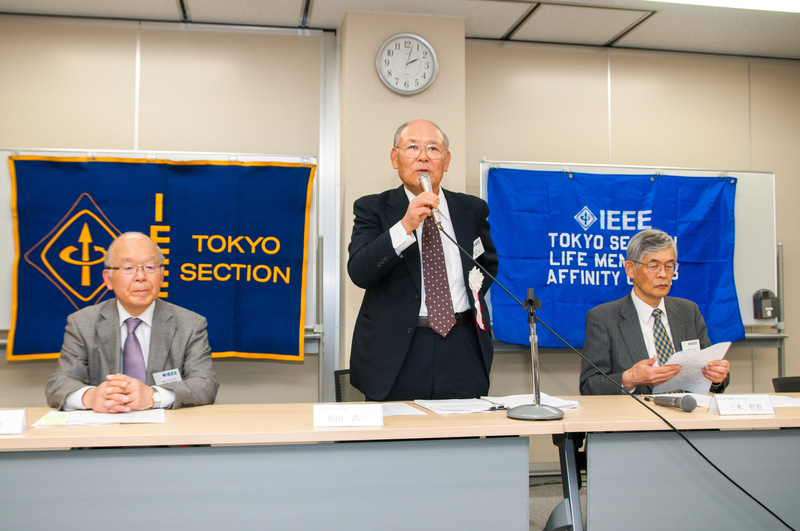 After the 2016 Annual General Assembly of Tokyo Section, the 2016 First Lecture of IEEE Tokyo Section was held in the Kikai Shinko Kaikan building at 3:10 p.m. with 42 participants. 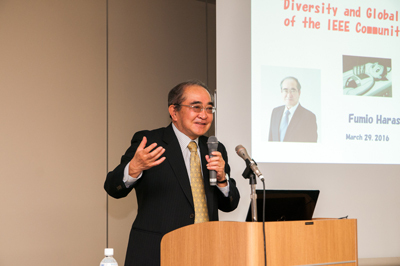 The lecturer was Prof. Fumio Harashima, President Emeritus of Tokyo Metropolitan University, recipient of “2015 IEEE Haraden Pratt Award” . The lecture was entitled ” Diversity and Globalization of the IEEE Communities “. 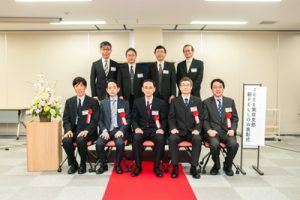 After the 2016 First Lecture of Tokyo Section, Celebration for the 2016 New Fellows was held. 9 members were newly selected as IEEE fellows from Tokyo Section this year, and 5 of them attended the celebration. 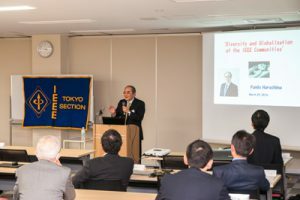 Mr. Matsushima, the chair of Tokyo section Fellow Nominations committee, introduced information about new fellow members’citation. 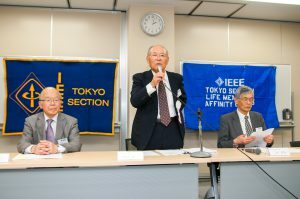 Mr. Hagimoto, the chair of Tokyo section, presented new fellow members with IEEE logoed atomic radio clock and each new fellow gave us a speech of joy. The celebration party was held in the same building.